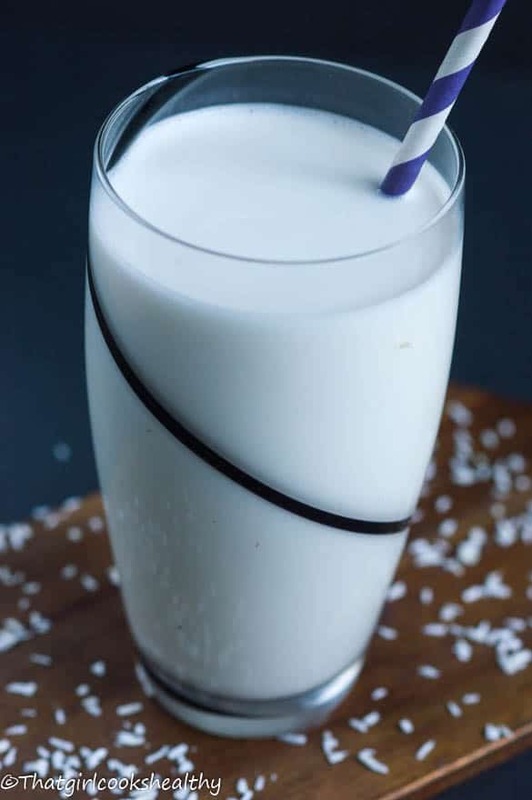 Coconut milk recipe – Learn how to make coconut milk within minutes. Not only is it a delicious plant based alternative but cheap too. I absolutely L.O.V.E coconut milk, it is my favourite dairy free milk in the whole wide world. It does have an acquired taste, similar to marmite either you love it or hate it. For me there wasn’t much an unfamiliar transition to using it since coconut milk is widely used in the Caribbean for many purposes. 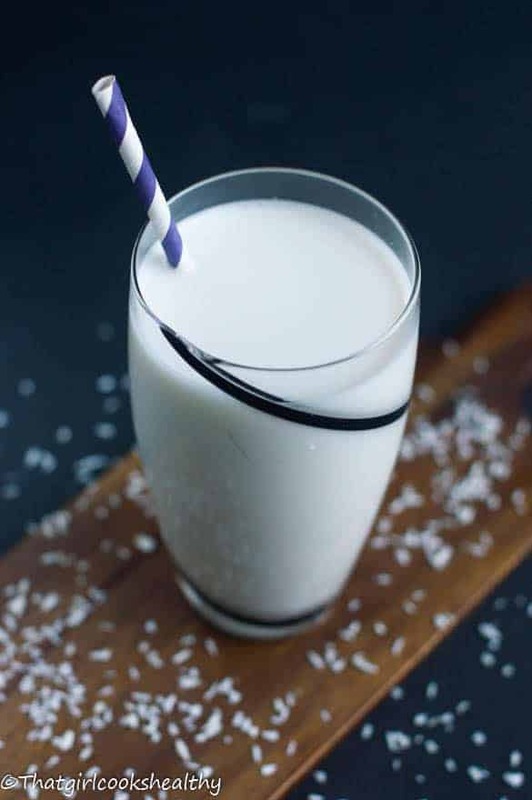 Coconut milk is available to buy in stores, but can be quite expensive. Not only is it expensive, also the store brought brands are heavily laden with additives and preservatives making it inauthentic. 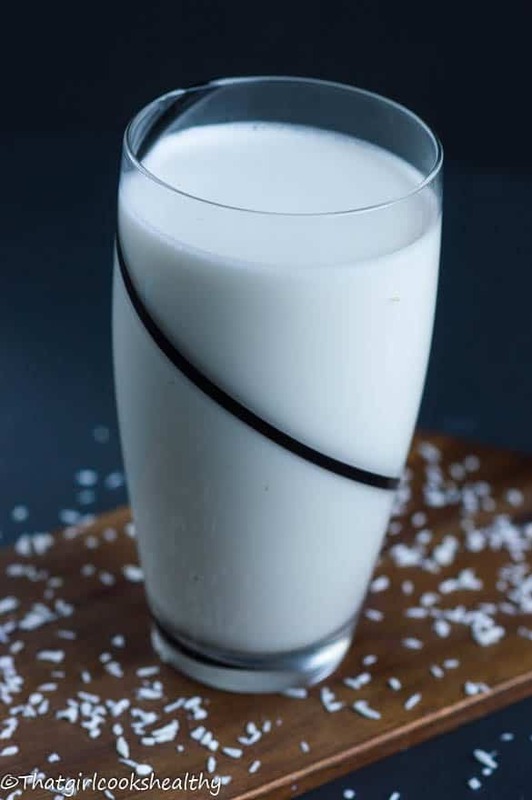 It’s not uncommon to find brand named coconut milk fortified with synthetic compounds of Vitamin A and C. The reason being while coconut milk contains many vitamins, minerals and healthy saturated fats, it lacks in both vitamin A and C.
Homemade coconut milk is better because………. I would personally recommend that you whip up some fresh homemade coconut milk instead. This gives you complete control over how it is made and what goes into it. I prefer to keep it simple and not add any extras to mine, as I like to be multi purpose with its use. Carefully add the hot water, you may need to do this in batches depending on the size of your blender. Once you have securely put the lid on, begin to blend the mixture for a few minutes. At this point, you’re looking for a thick and creamy consistency. If using sunflower lecithin add now and run the entire coconut milk again in the blender to emulsify. If not skip this step. Feel free to add any extras i.e pinch of Himalayan pink salt, vanilla etc.. and stir. Hi Charlene. I love coconut, this recipe is a brilliant idea. 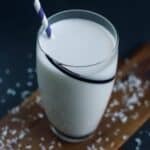 How milky or creamy is the final product, the same as other milks, like almond milk for example? Hey Val, I would describe the coconut milk as more creamier than the likes of almond milk. I initially had to do some trial and error before mastering a good ratio of shredded coconut to boiling water. 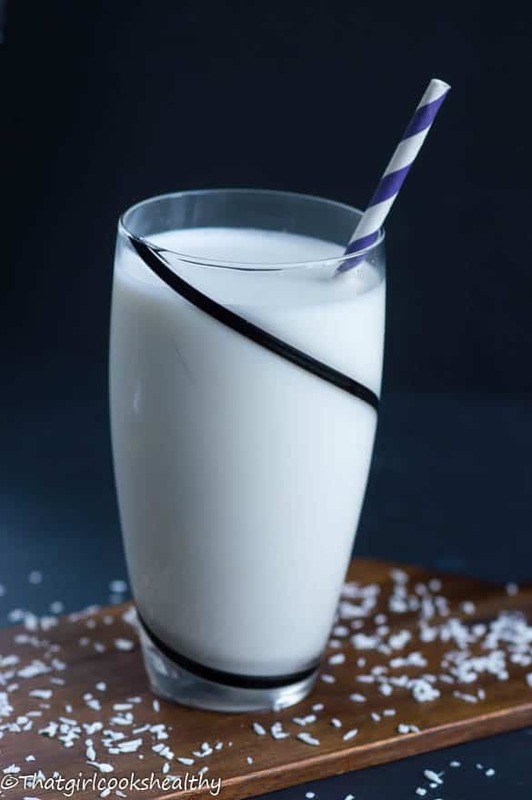 The more coconut used the creamier the milk. I love your recipes! Thanks for this one.